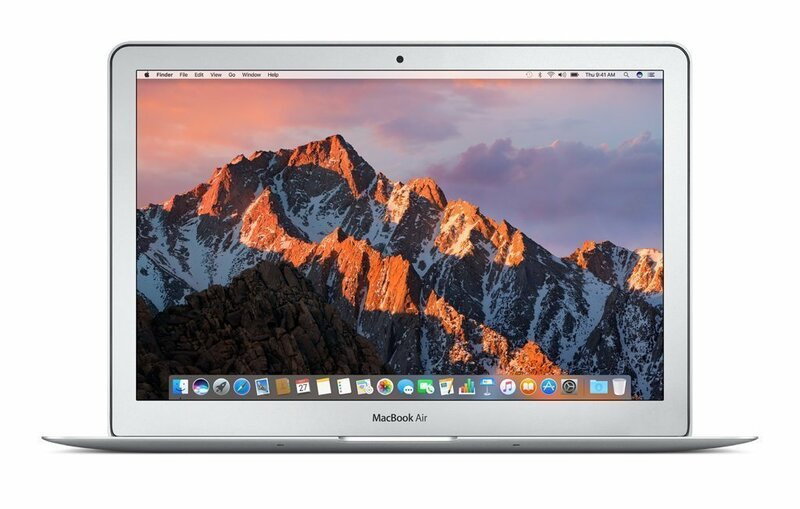 June 2017- latest release Apple 13-inch MacBook Air MQD32LL/A is a decent entry-level, lightweight, slim and portable laptop with an all-day battery life. So you can take it to library, office, cafes, to your domestic and overseas trips or wherever you want easily. It has the processor upgraded over the previous model, from the 1.6GHz Intel i5 of early 2015 to the same generation 1.8GHz processor. The 1.8GHz speed of the dual-core processor moves up to 2.9GHz with turbo boost. It also includes an 8GB LPDDR3 memory at 1600MHz as compared to the 4GB of the earlier model, which is not upgradeable and a 128GB storage capacity SSD for better overall speed and performance. The new MacBook Air doesn’t have the very sharp Retina screens of the MacBook Pro’s, as the screen resolution is the standard 1440×900 pixels of the previous models. This is not a brand new model with brand new specs but with only small differences like the ports, memory size and the processor to the early 2015 MacBook Air. You’ll also get the latest version of macOS Sierra installed or whatever is the most up to date at the time of purchase and you’re eligible for free upgrades. It still has the same case design of the 2010 model Air with a sharp wedge-shape and is offered in silver color only. The price is lower than Pro’s and other Apple models and works fine as an entry-level model with its snappy performance and nice enough display. 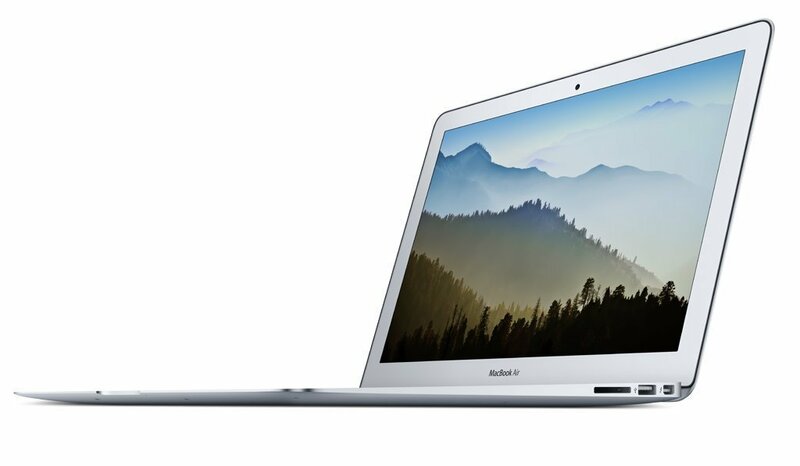 The new MacBook Air is slim, lightweight and durable, weighs 3 pounds and measures 12 x 1 x 8 inches. In terms of ports and slots, you have more options here over the Pro or the 12” MacBook with just the USB-C. And you have the same latest 802.11ac type wireless of even the most expensive iMac or MacBook Pro. Connectivity options include the 802.11ac wireless, Bluetooth 4.0, 2 x USB 3.0 ports, an SD card slot, a Thunderbolt 2 port, a headphone jack. 13.3″ non-touch screen offers decent picture quality with a 1440×900 resolution and the graphics card is the integrated Broadwell Intel HD 6000 that performs by up to 25% better than the previous Intel HD 5000 and slightly less than the dedicated NVIDIA GeForce 820M. This is not designed as a powerful gaming machine and you can play the games of 2016/2017 at low settings. If you need the most compact Apple laptop then you can buy the 12 inch MacBook or if you want plenty of power and performance you are better off buying one of the Pro models. But this new MacBook Air is a reasonable entry-level, and moderately priced machine with a good battery life from its lithium polymer battery, compact size, durable build and a good set of features. Good value for money!